Turkey may be a Thanksgiving tradition, but the struggle is real for vegeterians who are limited by gag-inducing options like Tofurky. As an alternative, we've rounded up ten mouth-watering, tried-and-true recipes that will put any dry bird or questionably-named frozen food offering to shame. 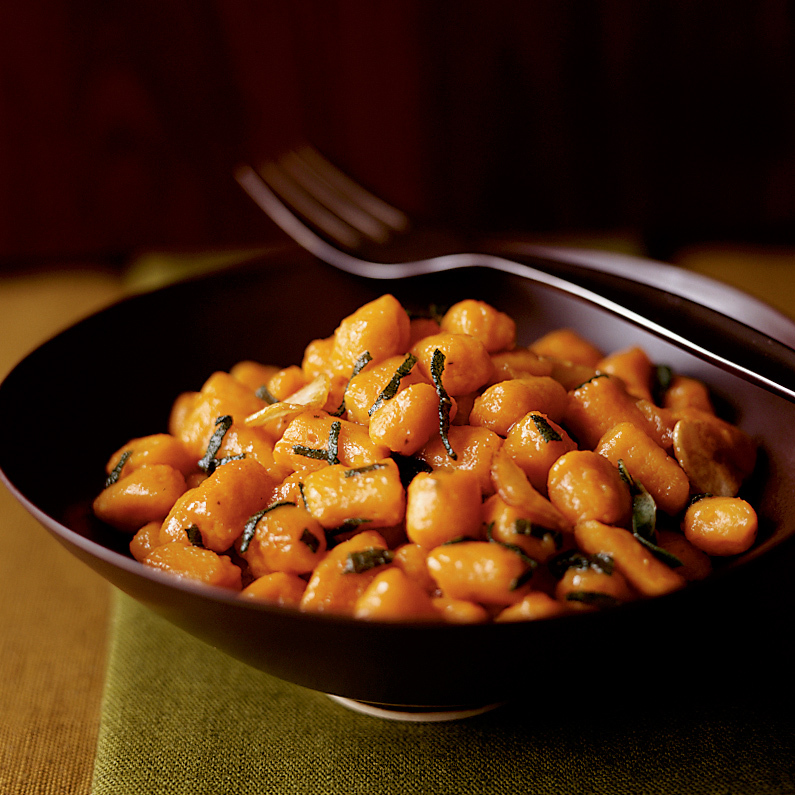 'Tis always the season for gnocchi. This sweet potato variety with apple cider sauce will make even the most enthusiastic of turkey lovers envy your dinner plate. Click here for the recipe. It may be Thanksgiving, but you'll want to avoid sharing this individual pot pie that boasts all of your favorite root and stem vegetables. Did we mention that it's almost too adorable to eat? Click here for the recipe. 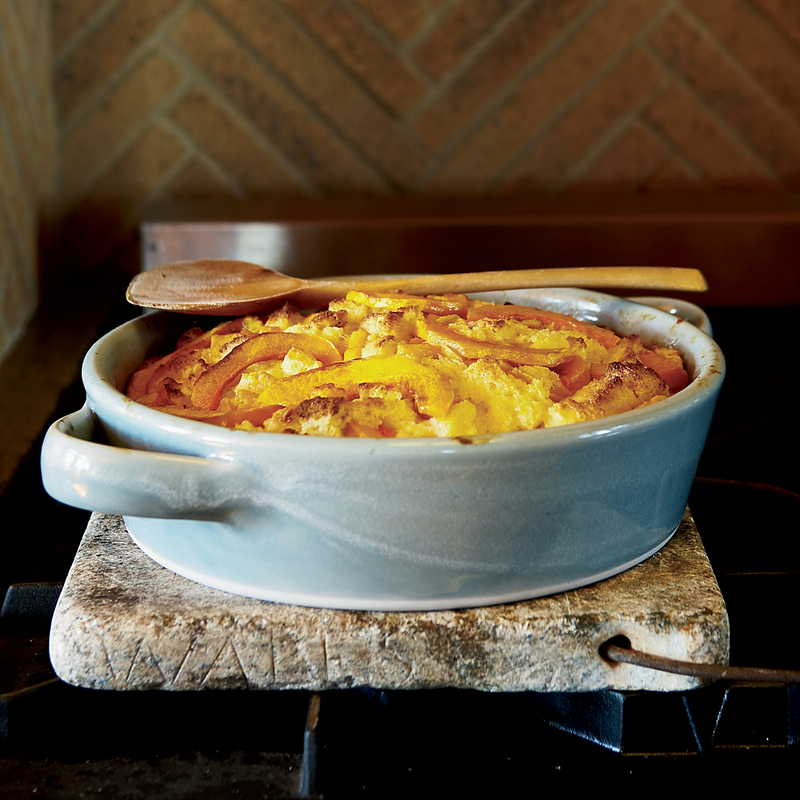 Don't let the words "bread pudding" fool you. This savory take on a classic dessert will satisfy any carbohydrate craving. We just suggest some serious portion control or sides like mashed potatoes and macaroni and cheese will lose their Thanksgiving Day luster. Click here for the recipe. Never forget that pizza is always an acceptable option for any social gathering or celebration. There is no rule against binge-eating an entire pie by yourself, especially on a non-judgmental, food-focused holiday. Click here for the recipe. 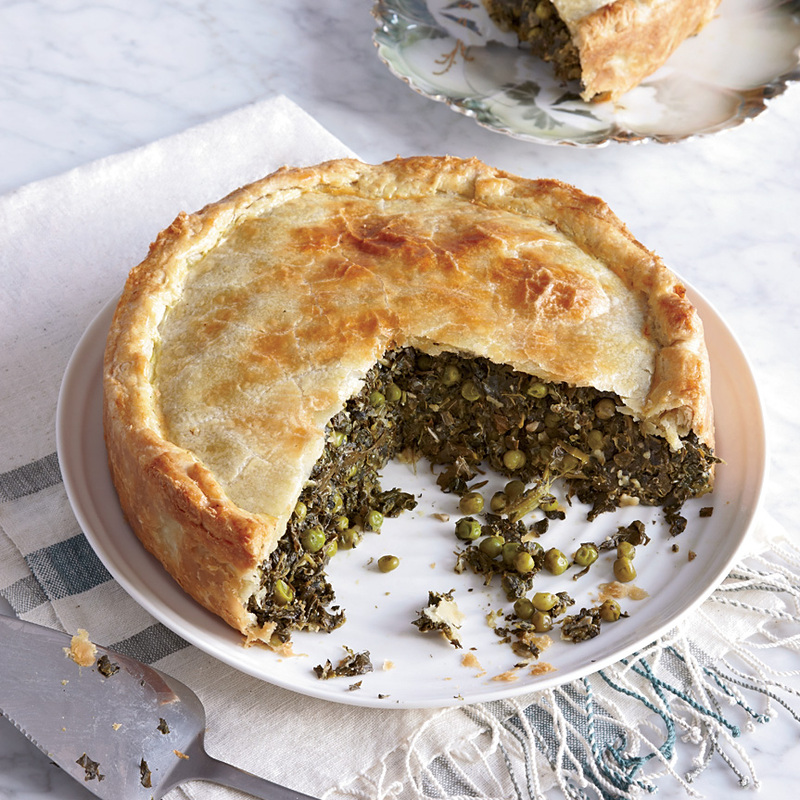 This spinach and grape leaf pie is certainly a unique option for anti-meat eaters, but a slice of the green good stuff will convert even the staunchest of vegetable haters. Click here for the recipe. Pumpkin, cheese and pasta are a more complementary trifecta than Kim, Kourtney and Khloe. Combined to create a decadent lasagne, this dish also makes for a far better dinner guest than any controversial reality TV celebrity. Click here for the recipe. We've never met a sandwich we didn't like and this eggplant and goat cheese combo is no exception. The tomato tarragon sauce takes it from great to "eff-this-turkey, I'm-going-vegeterian" fantastic. Click here for the recipe. Sometimes you just need a hot bowl of hearty chili to welcome the holidays. Is there really any better occasion for soul-soothing comfort food? Click here for the recipe. Thanksgiving is the time to indulge and nothing is more sinfully delicious than rich and creamy risotto. Cremini mushrooms and kale will also bring in earthy flavors that will have you loving fall, but hating the prospect of winter. Click here for the recipe. We can't knock tofu without providing a recipe of tofu done right. Who needs a frozen entree when you can fry some up in a skillet and pair it with wine? Click here for the recipe.